The Harmonic Pattern Trading coaching day is designed for when you are ready to tune in and understand the natural flow of markets. You may already have become a Breakfast Trader and this forms the second day of the complete Forex trader training. George Hallmey, MD of Clickevents, trades using several techniques that includes intra-day and swing trading techniques of which some have been published in Your Trading Edge magazine and FXStreet.com. Workshop includes, Advanced Fibo trading with Harmonic Waves and the auto Fib Finder for TradeStation and Meta Trader. You will be able to recognise the important Harmonic patterns and the software will find these key levels for you that link to the key Fibonacci ratios and Wave flow to identify the entry and trade target areas in advance of the actual moves. The workshop is designed for Forex traders but these techniques can be used in any market, Stocks, Commodities and Indexes and also includes pattern finding software. 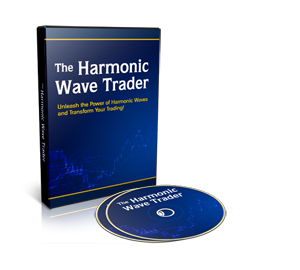 The Harmonic Wave Trader brings together three major techniques with Fibonacci levels that will show where the waves of price action are most likely to reverse and where they are going to. This is just one of dozens of examples when trading gurus and analysts said sell, sell sell. It will find trades for you that you would never ever have taken without it! Thought I would share a successful EUR/USD trade from 6.56am this morning-went short at 1.3941(pleased that I picked the turn !) and grabbed 21 pips by 7.06am-should have remained in the trade for a few more pips on the downside in hindsight!! Fully inclusive of The new WaveR Pattern Trading software and full course on Disc! Arrange the day as a 1-2-1 personal coaching day in Reading or London and learn what is relevant for you. Unable to attend and prefer to study on-line then the Harmonic Wave Trader is available for home study. In addition, I would like to totally eliminate any risk that you feel you may be taking. Place your order online or by calling UK FREEPHONE 0800 298 4691 and if, for whatever reason, by the first morning break, you do not agree that the techniques you are going to learn on the course will give you a set of tools and strategies that will help you in your trading, then you can request a full, no quibble, refund.